FWE ES-BBC-5-BW Executive Series Portable Bar, 60" L, 60lb Capacity Ice Bin, Stainless Int. Executive Series Portable Bar, 60" L, 60lb Capacity Ice Bin, Stainless Int. 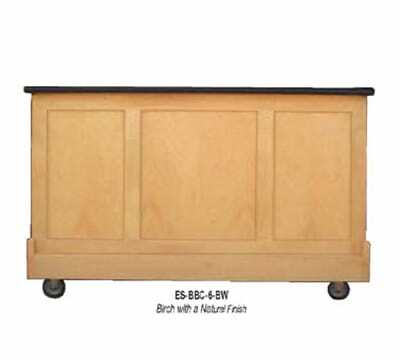 Executive Series Portable Bar, 60" L, pre-mix-post-mix, 60 lb. cap. ice bin w/sealed-in cold plate, Stainless Steel interior, birch wood front-sides, plastic laminated serving shelf, removable speed rack, underbar server with bowls, towel ring, NSF.